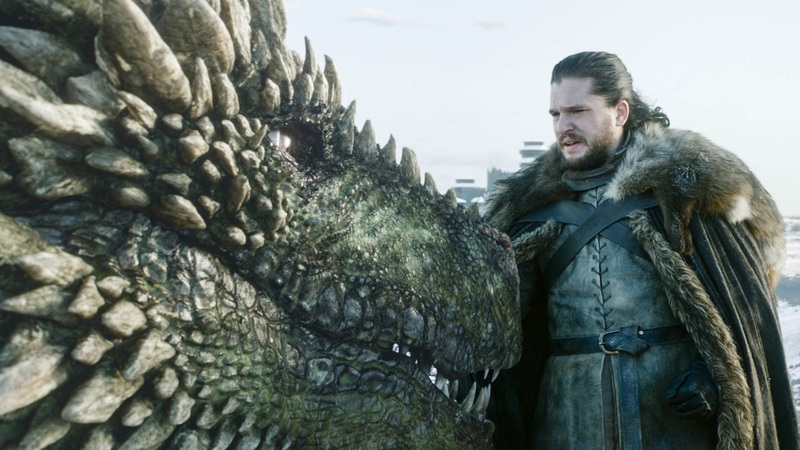 The final season of Game of Thrones opened with a solid premiere episode full of callbacks, reunions, dragon riding, and yes – plenty of shade. 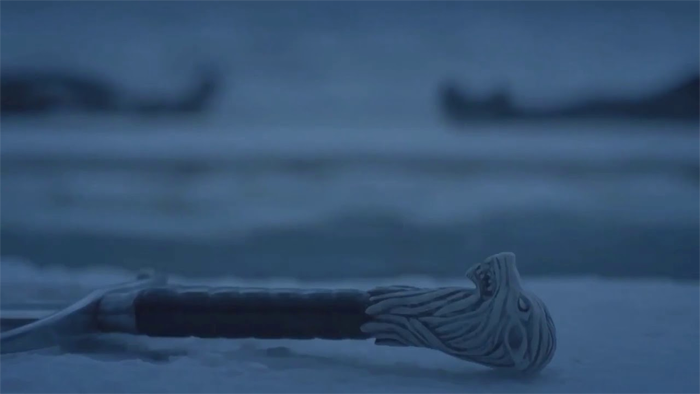 From the stunning visuals, to the interesting character moments, to the grisly reminder of the White Walker threat, the premiere has set the stage for a compelling end to the series, and I’m excited to see what happens next. 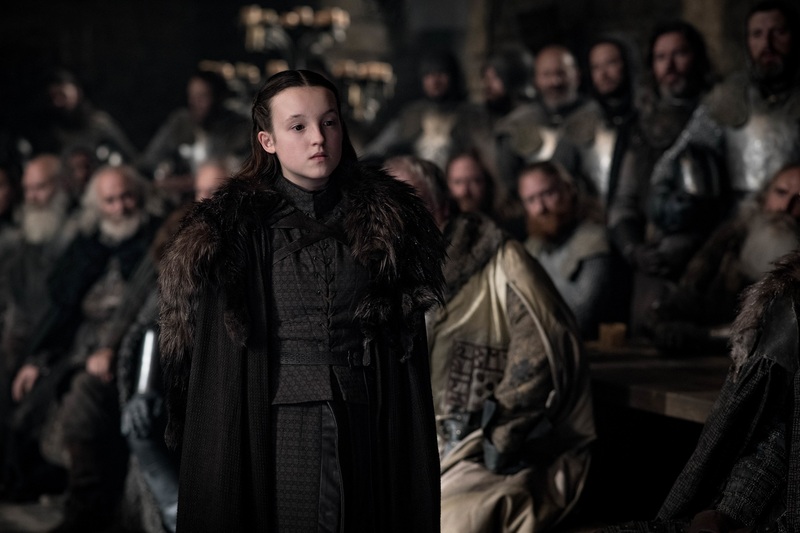 In the meantime, let’s go behind the scenes of “Winterfell” with today’s interviews and videos! Dany didn’t get the warmest of welcomes, especially from Sansa. 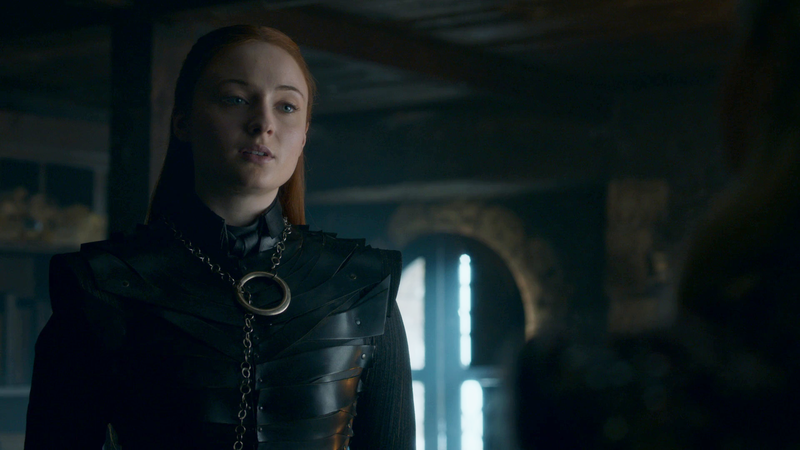 “Sansa sees her as the foreign interloper. She trusts her family and no one else. You can see from Sansa’s view that Jon went to meet with this southern queen who burned her grandfather and uncle alive and suddenly Jon bent the knee to her.” Hill adds, “Sansa starts off this season very suspicious and not at all friendly with Dany.” Perhaps he is hinting that the season won’t end that way? 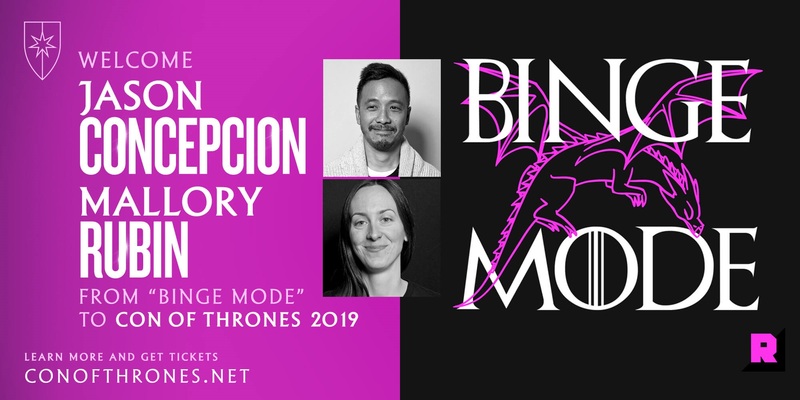 Let’s hope Team Stark and Team Targaryen pull together before the White Walkers arrive. 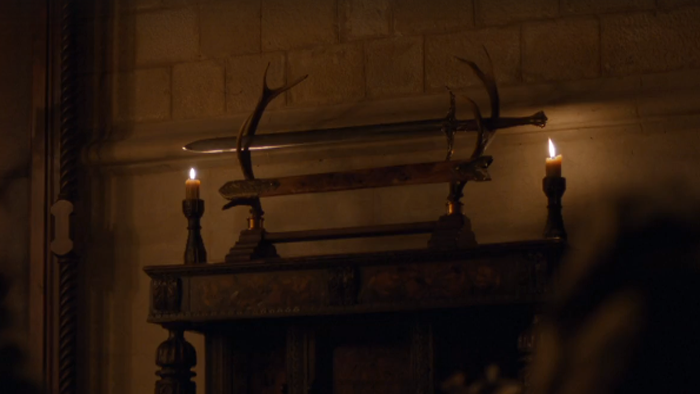 Another character in for a hostile reception is Jaime Lannister, who arrived at Winterfell in the final scene. Hill admits, “It’s an emotional punch that works really well. 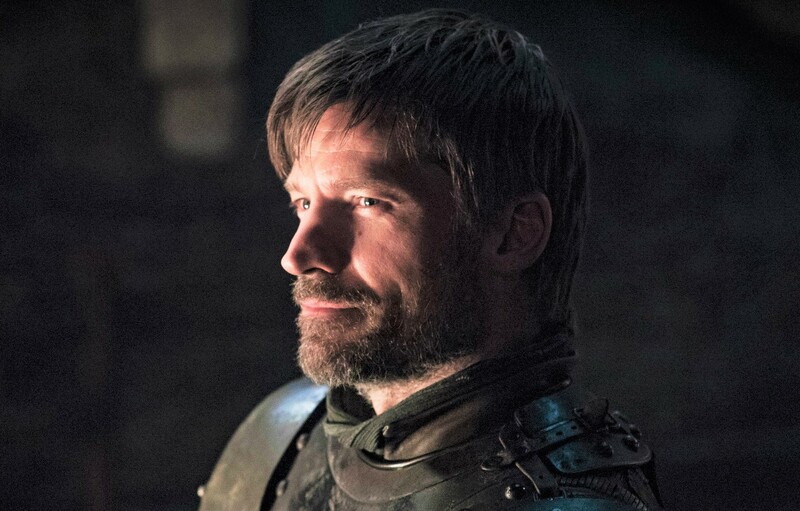 I knew it was a scene that [Nikolaj Coster-Waldau] was absolutely going to nail.” It will be fascinating to see Bran’s interaction with him next week – will Jaime be forgiven? 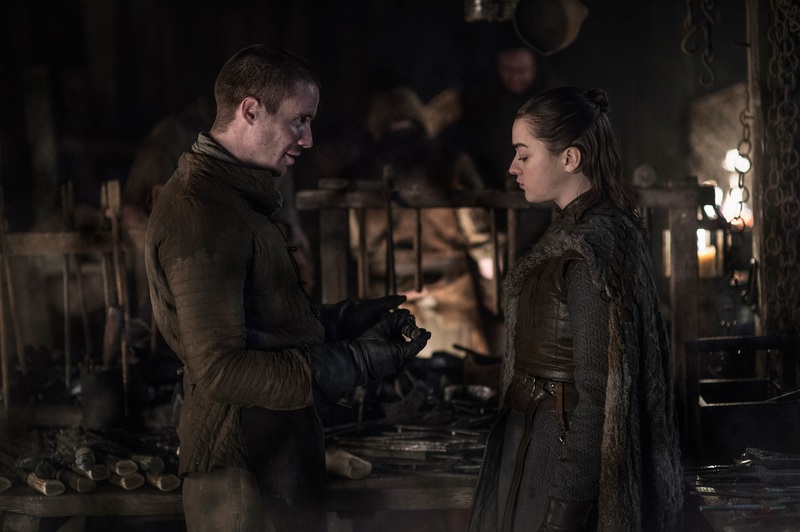 Check out the entire EW article for Hill’s thoughts on the Jon/Arya reunion, Jon’s parentage reveal, and more! While Sam is clearly trying to push Jon to stake his claim to Westeros, Harington firmly states Jon isn’t interested. “He has no ambition for the throne. 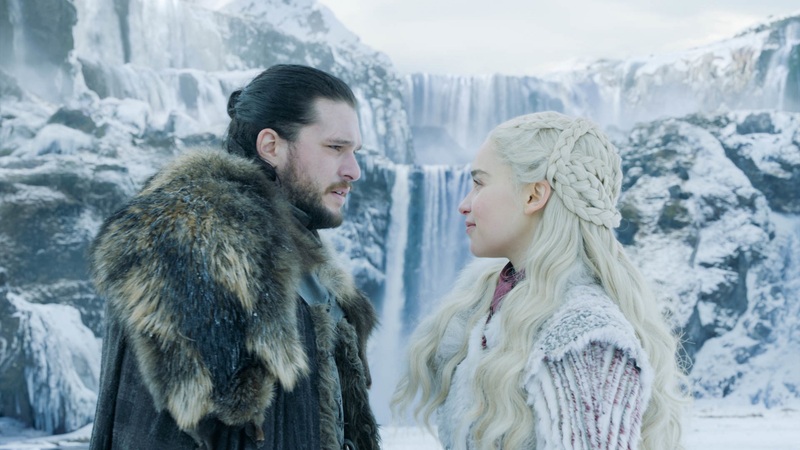 He’s never wanted that.” The news also complicates Jon’s life at a time when he needs to focus on defeating the White Walkers with the help of his ally and lover, Daenerys. “The end of the world might be coming soon but at least he’s in love with somebody and knows who he is, and then comes this sledgehammer.” Will their relationship survive once the truth is out? Perhaps we’ll know the answer on Sunday. Head over to EWfor the rest, including commentary from Samwell himself, John Bradley. “This is the moment he decides to tell Jon about his heritage because he can foresee problems [Daenerys] may cause for Jon in the future. 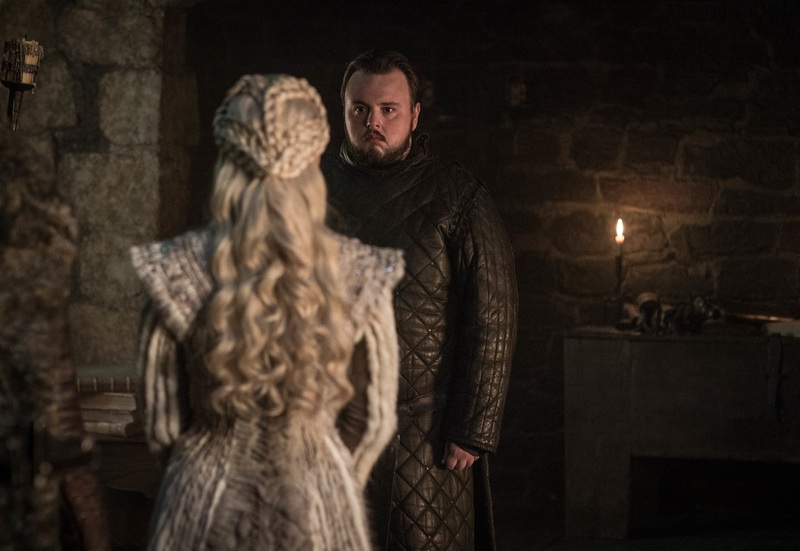 Sam realizes he is dealing with a very important, but dangerous person.” Sam should tread carefully if he doesn’t want to lose Daenerys’ vitally important support before the White Walkers arrive. The fallout from this reveal could have dire consequences for everyone involved. We haven’t quite gotten a reunion between Jaime and Bran, but Hempstead Wright teases that Jaime may be off the hook for pushing Bran out of a window as far as he’s concerned. “It had to happen, I reckon. It’s given him incredible abilities, which made him far more significant than he could have ever dreamed of being, had he not had the power…he certainly doesn’t hold grudges. 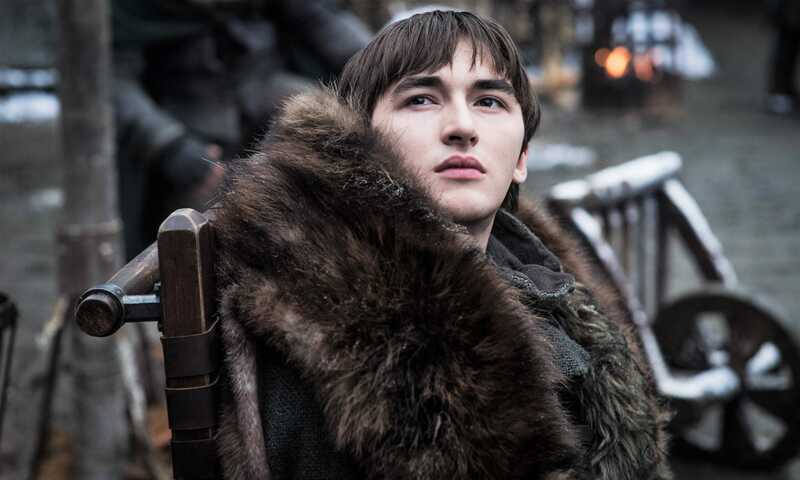 He kind of transcends all the petty quarrels of most of the other characters.” Maybe Bran can help the rest of the Winterfell crew get on the same page before it’s too late. Hempstead Wright is featured in an article by The Hollywood Reporter as well, in which he elaborates on what Bran’s priority is this season. “His sole focus is that he wants the living to survive. He’s on the side of the living. He’s the ancient arch-nemesis of the Night King. He’s so far beyond any petty squabbling or wanting to get revenge or a comeuppance on someone. He doesn’t view the world like that anymore. He just views things as timelines that intersect and have to end up in certain places.” Ancient arch-nemesis? That’s quite an interesting phrase. Hopefully we’ll find out what he means in the episodes to come. About those upcoming episodes, Hempstead Wright cautions us to prepare ourselves, saying “The first episode was quite funny. I suppose that’s a warning, to ease you back in before all the pain that’s about to come. The rest of the season might not follow quite as happily.” Keep your tissues handy – we will probably need them! For more on Bran’s reunion with Jon, the parentage reveal, and more, go to THR. 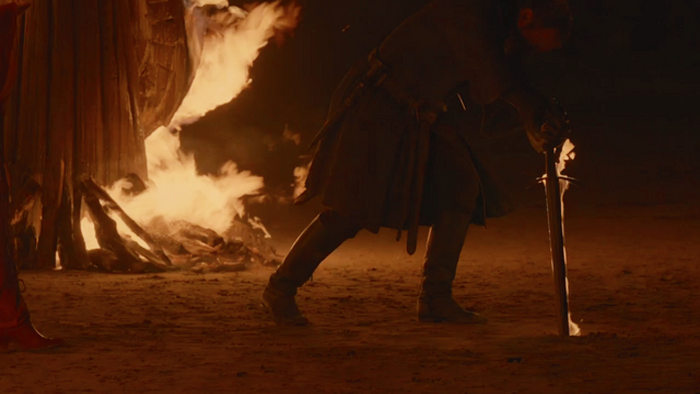 There may be a happier reunion for Jaime, however – seeing Brienne again. 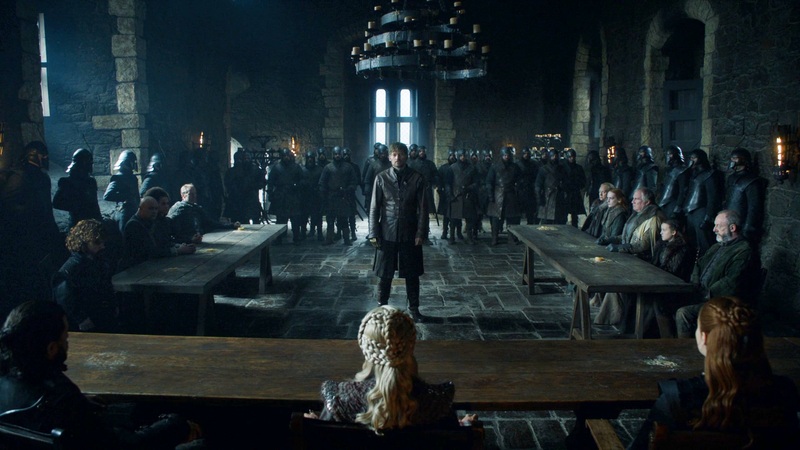 “For Jaime, he would assume she would be there,” Coster-Waldau admits. “I don’t think that was the reason he went. They’ve both been very good at compartmentalizing whatever feelings they have for each other.” We may finally get to see those feelings surface, especially knowing the end may be coming for all of them soon. Braime forever! 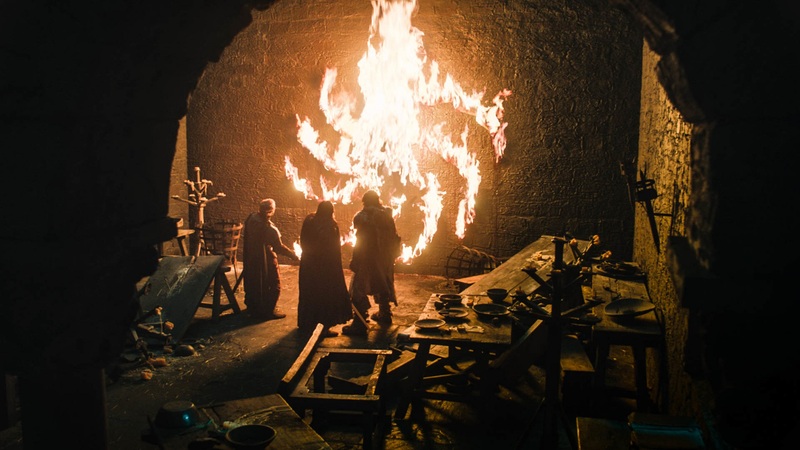 In this week’s “Inside the Episode,” David Benioff and Dan Weiss break down Daenerys’ arrival to Winterfell, long awaited reunions, and Jon’s first dragon flight. The next two videos are from HBO’s website, so apologies in advance if they don’t play for those of you outside the United States. In this one, Emilia Clarke, Kit Harington, Sophie Turner and Nathalie Emmanuel discuss Team Targaryen’s frosty Northern reception. 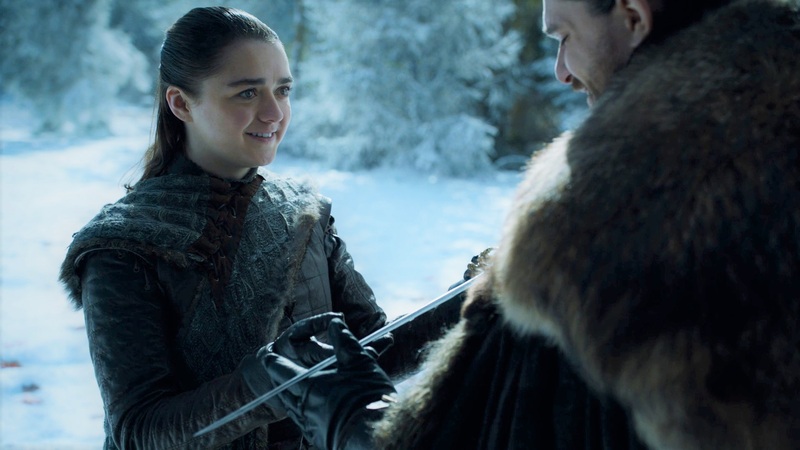 Kit Harington and Maisie Williams share their thoughts on Jon and Arya’s emotional reunion. In “The Game Revealed,” we get an in-depth (and at times hilarious) look at the making of the season eight premiere from several of the cast and crew. In case you missed it, check out next week’s preview! Have you already read all the books and/or don’t care about spoilers? You can reveal/hide all the spoilers in the comments with the click of the buttons below. Big praise to the acting of John Bradley. And what I found so beautiful to that scene was the way a child feels about their parents. How much he hated his father it was still his father. 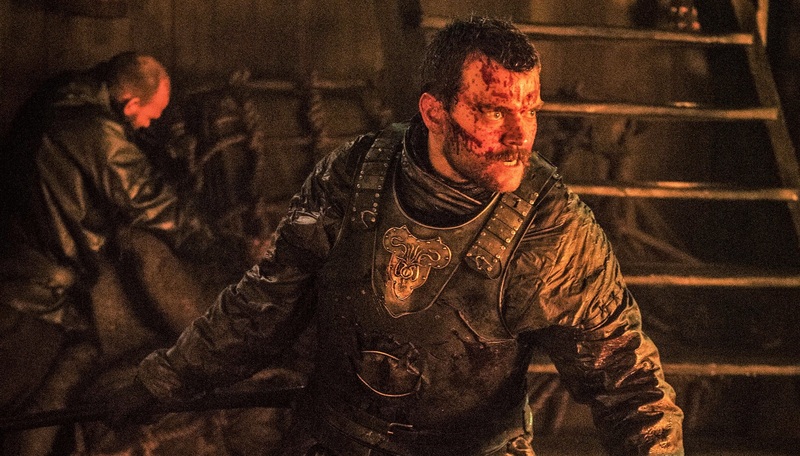 And poor Dickon. And what a handsome picture of NCW. I will second that , off screen Bradley is the most articulate actors on the show , off screen he comes off as a brainy guy. I am also intrigued about Bran’s quote: “He’s the ancient arch-nemesis of the Night King.” In a previous post I think there was several of us discussing what the NK wants and theorizing that Bran is the target. Especially after The Door, where the NK himself stood before the 3ER and killed him before going after Bran. Also Nikolaj mentioned that Jaime probably knows that Bran didn’t die, but I was under the impression that Jaime thought he did die. 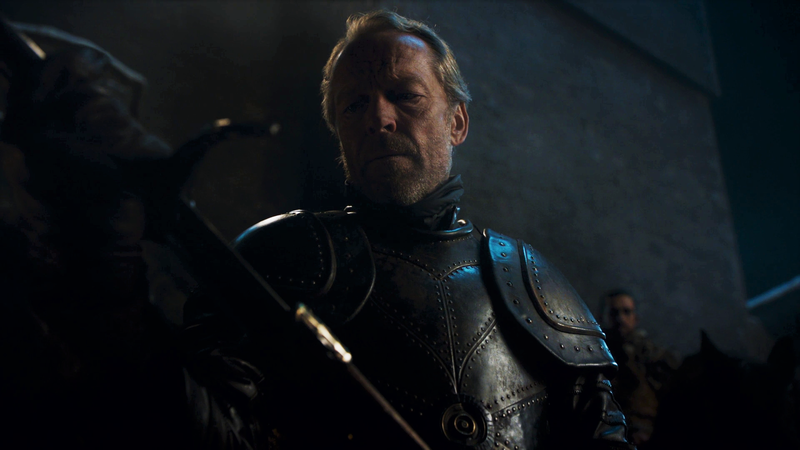 I was under the impression that characters had believed Theon killed the Stark boys, but I could be remembering the books rather than the show. I mean even Catelyn died believing her boys were killed which was just so so tragic. Either way, I’m really excited about their reunion and what they will say to each other. I’m assuming Bran won’t reveal the truth about Jaime pushing him out the window just to maintain the peace. I remember that first season when it did just enough to get a second season! After many moons of reading books and following shows creation, the initial reaction with Tamzin Merchant and others in original pilot was…less than stellar. And to see it now brings a tear to this GoT geek. Damn, it feels good to be a Game-ster. 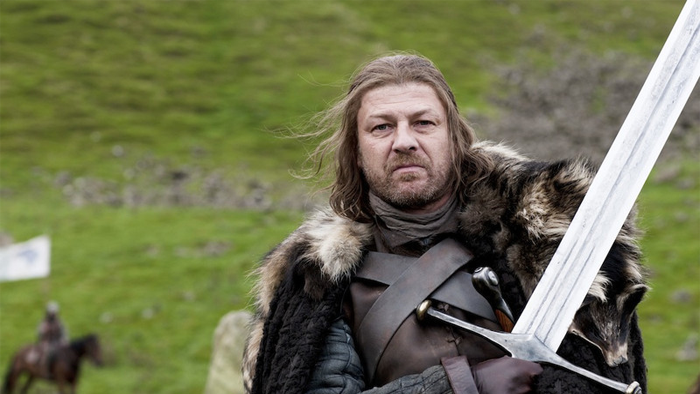 I think they should have gone with a cold opening, but I think the big problem was that Ned was still at winterfell. 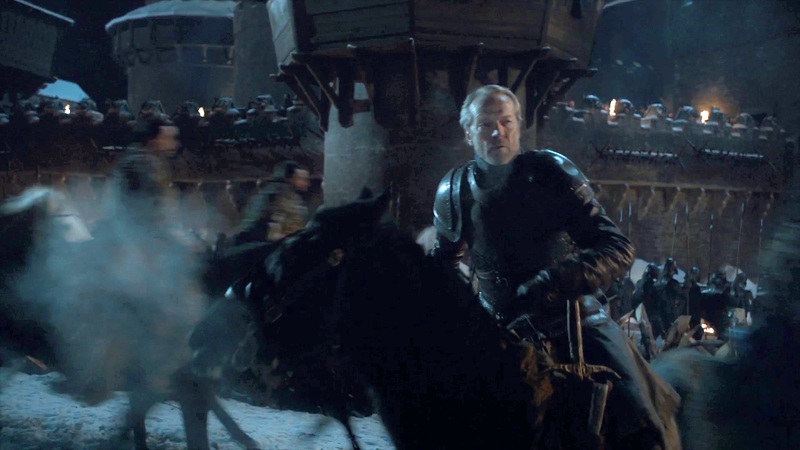 I think they should have skipped the scene where he wanted to go back and instead started the season with a cold opening where Ned write a letter to Winterfel and once the raven was released the NK attacks. That way they still could use the food-drama. 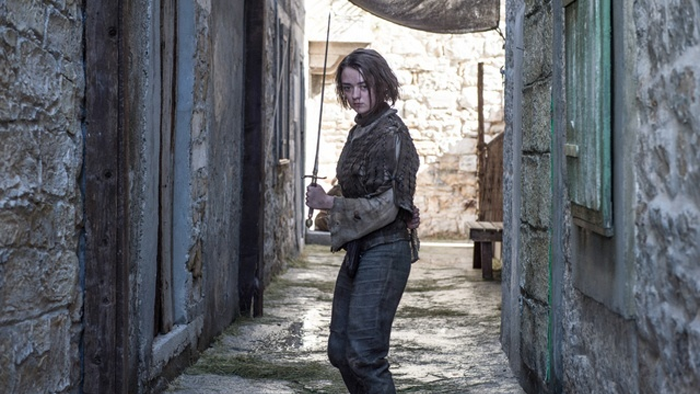 And big praise for Emilia Clarke in this episode, I think she delivered amazingly. All the different shades of Dany was put to screen perfectly. 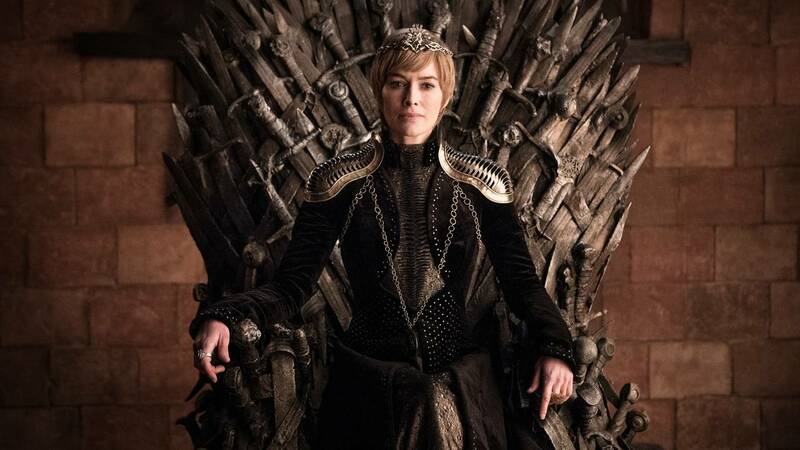 If we still agree to the assumption that the series is based off the books, then probably sleeping with Euron is one of the most in-character things that Cersei (in the show) has done in a while. I don’t know exactly when this happened, but Sam was talking to the maesters in the Citadel, and they all knew Bran was alive but crippled. So by the time season 8 begins, Bran still being alive wasn’t a secret anymore. I mean, the maesters probably didn’t tell anyone about Bran’s letter, but I suspect word about Bran would probably get around somehow. 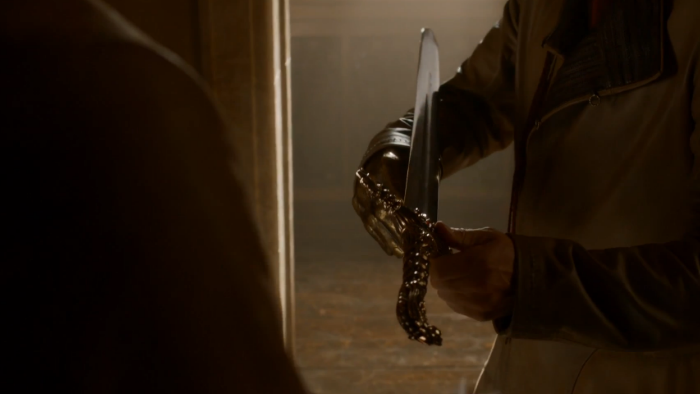 I think Cersei is playing Euron to an extent. She wins his support in a much more solid way if he believes she’s carrying his child, and to convince him of that, she needs to let him into her bed before she starts showing. I don’t think she even really likes him at all, but she’s stoking the ego anyway to keep him satisfied enough to not abandon her and go sail off for the far end of the world. She still needs all the help she can get. 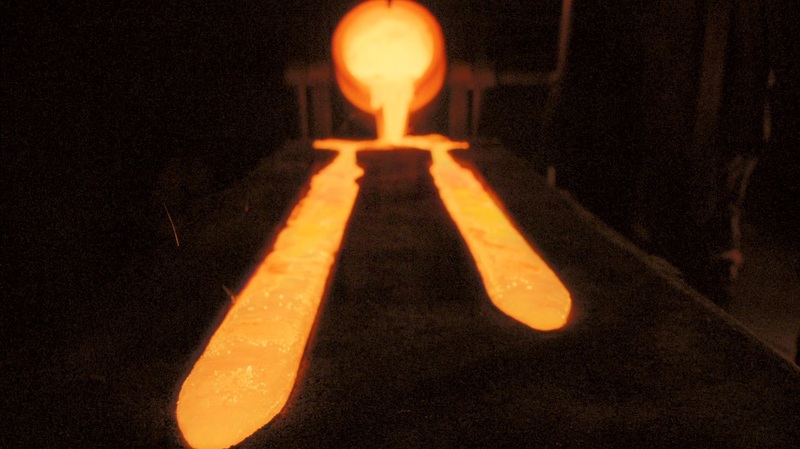 The Lannister army should be much reduced after the loot train battle, and the Golden Company may be famously true to their contract, but they’re still sellswords. Their loyalty only lasts as long as she can pay and there isn’t a second Highgarden to sack. Even if her best case scenario works out and the northerners, Dothraki, and Unsullied are decimated but win, the Dornish are still against her and their armies haven’t even been touched yet. It’s not like they’re just going to turn around and support her because Ellaria was captured. She’s in a crap position and really can’t afford to lose Euron.